One of my favorite quotes is, "An empty lantern provides no light. Self-care is the fuel that allows it to shine vibrantly, lighting the way for others”. Self-care is not selfish. Repeat that to yourself: Self-care is not selfish. Write it on your bathroom mirror. Do you care? Do you Self -care? New routines, early mornings, busy schedules, sports practices,…it’s easy to feel like you might be going slightly crazy this time of year. Today's cooler temperatures were a reminder that we are now 1 month away from fall and the lazy dog days of summer are quickly fleeting and back-to-school is in full swing. Maybe you don't have little ones or your little ones have left the nest; this time of year seems a little more busy for everyone all around. Perhaps you're still recovering from a summer full of visitors, settling back in from a road trip or adventure to a new or old favorite place or just wrapped up a summer project. I don't have children myself but do have great admiration for all of the moms, dads and caregivers who juggle their own life and calendar along with their kiddo's. This time of year you may feel like your car is a taxi and your home has a revolving door of coming and going to different activities. Maybe you’re trying to relax your mind from a summer on the go, or you could feel a bit lonely after saying goodbye to family or friends visiting. Educators that work tirelessly to provide a safe, happy place for our community’s children to learn and grow. As a daughter of a high school guidance counselor I know that your work never ends when you leave school for the day. There is no denying I have heard several guests in my chair the past 2 weeks say they are feeling a bit overwhelmed. Many things in life can throw us off balance, make us feel stressed or overwhelmed. It’s easy to put ourselves last and neglect the self-care that is vital to our daily wellbeing. I am guilty of this myself. It’s easy to say we’re too busy, that other things are more important, or even worse to tell ourselves we don’t deserve it. Can you imagine telling someone you care about, “You don’t deserve to feel good”? We cannot nurture, support or care for others from a dry well, it’s not possible. If we practice proactive, preventative wellness and replenish ourselves emotionally before our well runs dry, then we are able to give to others from our surplus. We are able to share our abundance from a natural state of strength, and what an amazing gift that is to give our family, friends, pets, students, those struggling and most importantly to ourselves. Not to mention neglecting self-care can also effect your physical & mental health tremendously. According to Harvard Medical School, research suggests that chronic stress contributes to high blood pressure, promotes the formation of artery-clogging deposits, and causes brain changes that may contribute to anxiety, depression, and addiction & more preliminary research suggests that chronic stress may also contribute to obesity. It’s time for you to commit to you. I’m not trying to be like one of those motivational videos that feels unrealistic. As Dr. Leo Marvin once said, “baby steps”. Small practices that you can start right now. That don’t require a membership or a piece of workout equipment or a 20 chapter book. Take out your calendar. Just as you would a doctor’s appointment, work meeting or school function, pick times to schedule self-care. This can be waking up a little earlier to stretch, taking a light walk, sitting down and meditating/praying or just paying attention to your breath (there’s lots of great meditation videos on YouTube), put your phone away and be present when you get home, journal a few things you’re grateful for each day or made you smile, sit outside in the sunshine, take a relaxing bath, laugh out loud, turn on your favorite music and dance. Although these are little things that take little time, we somehow can’t find the time to do them. Treating yourself to well deserved stress-reducing services with us is an excellent way to promote self-care. Our wellness expert, Cyndi, provides life changing services that dive deep into treating physical and mental issues with a holistic, natural approach. 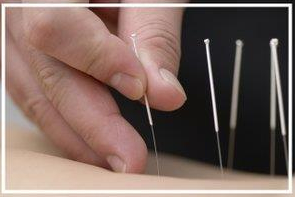 One of Cyndi’s practices is acupuncture. 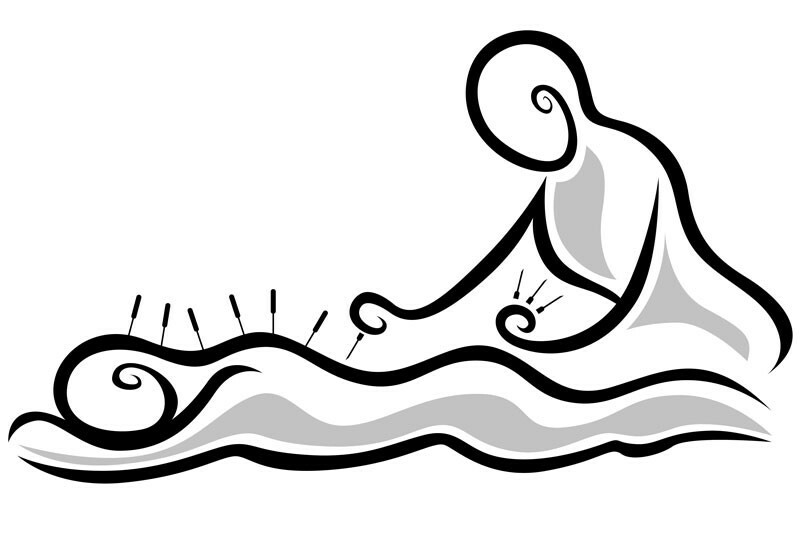 For years I have wanted to try acupuncture to treat my anxiety, but my fear of needles to the point where I will pass out getting blood drawn or sometimes even thinking about it kept me from doing it. Cyndi encouraged me to try it, and she talked me through everything, and assured me she would not do anything that made me uncomfortable. I can’t explain her energy into words other than calming, mindful and connecting. I decided for my first session to start with 1 needle to see how I handled it. The session started and I said, “I’m really nervous I’m going to freak out when you put the needle in”, to which Cyndi replied, “…it’s in, Laura”. What? How could I not have felt that? I had a tension headache that day and could feel relief between eyes where it builds up. 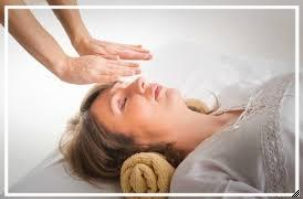 Cyndi offered to do a reiki (energy healing) session while I laid still. My mind has trouble wandering, going off-task and I presumed knowing I had a needle in my face my mind would immediately go somewhere dark and stressful in the silence with my own thoughts. The complete opposite happened. I could feel the transfer of positive, healing energy. Every positive, happy memory I had of my childhood flashed through my head like a slideshow. I was digging in my sandbox, baking cupcakes with my mom, picking strawberries on Grandaddy’s farm, riding bikes with my dad, dancing in a recital, and I had that feeling all over me, that warm fuzzy feeling when I would get out of the bathtub when I was little and my mom would wrap me in a towel and squeeze me tight. I felt safe and peaceful. A few tears ran down my face and I genuinely smiled. The rest of the day I felt “acu-high”: light, free, with a clear mind and an open heart. I was floating. It’s a very hard feeling to describe, but it is an amazing feeling. The transformation we see with guests entering Cyndi’s space and leaving is incredible. They leave calm and peaceful. It is a pretty awesome thing to witness. You deserve to be well, to feel alive and happy in your skin. You deserve the time you NEED. Yes, need, not want. We welcome you to experience the world of wellness with us. A complimentary wellness consultation is encouraged if you have questions or if you are new to self-care and wellness and want to know more. Cyndi will guide you through every step of the way to insure you are comfortable and on the right track. I’m proud of you for taking a few small steps towards taking care of yourself and know that you will stay committed and dedicated to loving yourself. Cherry Almond Bark is back!!! 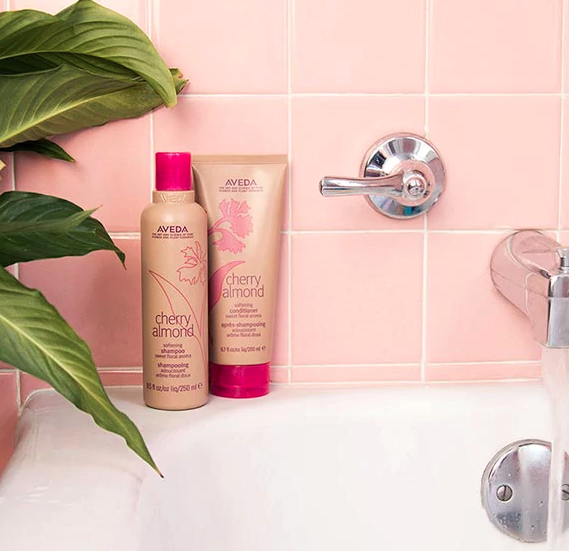 There’s no doubt about it — Cherry Almond Softening Shampoo and Conditioner is something special. AVEDA's re-release of this product has been updated for 2018. Here are a few reasons why we know you'll be knocking at the salon door to see it for yourself! - It’s a comeback kid! For years Aveda fans have begged for this product to come back. While the formula is different, the signature Cherry Almond aroma is still there. - Like all Aveda shampoos and conditioners, Cherry Almond is color safe. You won’t have to worry about your color when sudsing up with the shampoo. - It’s cruelty-free, not tested on animals. Aveda products are NEVER tested on animals. It is also silicon-free and vegan! - It won’t break the bank. Cherry Almond is affordable — the shampoo and conditioner are each priced under $20. - Who doesn’t want softer hair? Your hair will be irresistibly soft and so touchable, it takes playing with your hair to a whole new level. - Did we mention it smells good? Well, in case you haven’t been convinced — IT SMELLS AMAZING! If this isn't enough to convince you, you're a tough nut to crack. You will just have to come in and try it out for yourself! We hope to see you soon! You can book an appointment right here on our website by clicking the "Book Online" option at the top of this page. 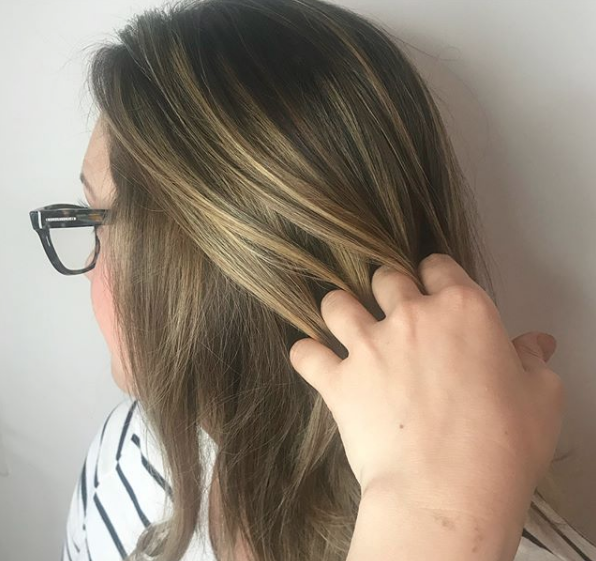 We are a few months into our switch to Organic Pure Care's amazing color line and if you haven't been following us on social media then let us catch you up: we are OBSESSED! Often times when someone hears a product is organic they may wonder if it measures up to the strength or longevity of competing products. OPC color packs an intense punch of long-lasting color and here we have complied a few examples we'd like to highlight. 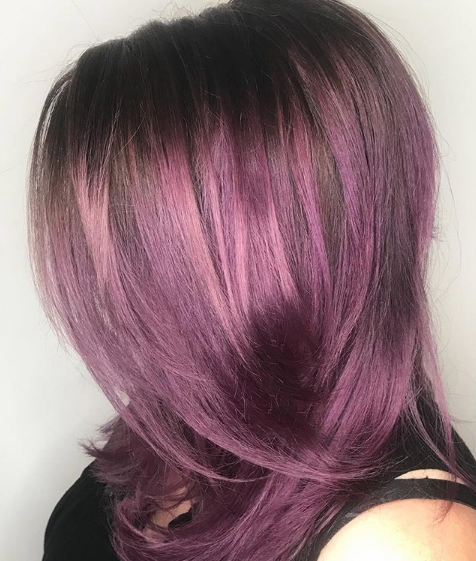 This striking magenta highlight by Holly is amazing! We can also enhance the longevity of this color by using any of our OPC color safe shampoos and conditioners. This beautiful soon-to-be mama came in to see Brooke for a touch up on her balayage for her maternity photos. We cannot get over this dimension! 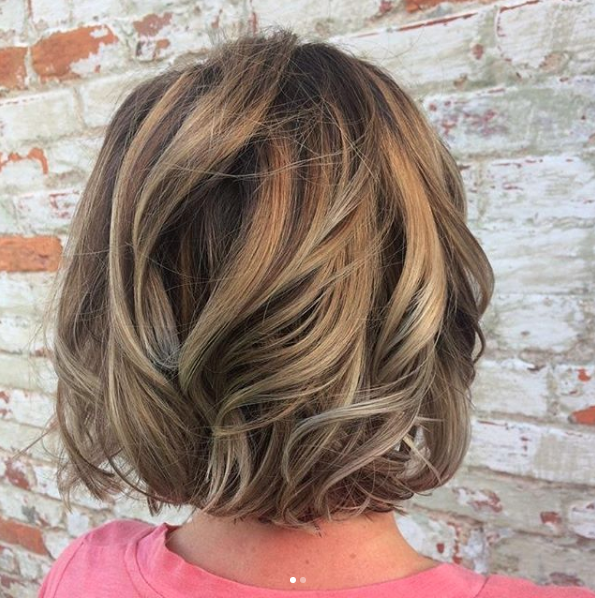 An all-over strawberry blonde for summer by Laura! 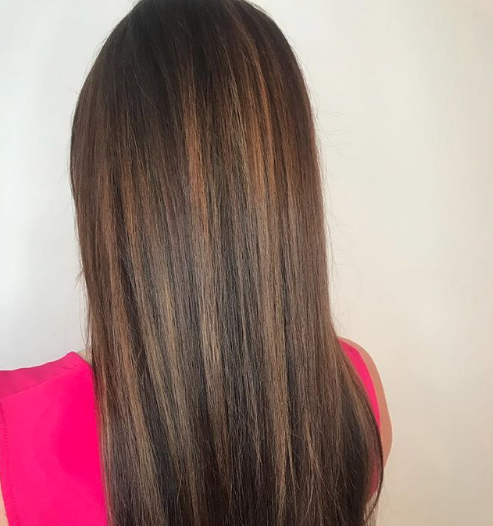 This color line promotes shine and all-over healthy hair. As you can see, we proudly stand behind the power of this line and the amazing payoff! Everything from gray coverage to the colors of the rainbow. With the right care and products, you can experience the longevity of any color line without the effects of harsh chemicals! Organic Pure Care's Sun Care line is all about letting you enjoy summer while saving your hair from all the fun that can damage it! ORGANIC SUN CARE is a line of products designed to meet the need of sun protection for hair, body and face skin. Created according to natural methodologies, it is characterised by the organic Tamanu oil (Calophyllum Inophyllum). This oil is unique especially for its healing properties, it is a natural antibiotic with regenerating, anti-inflammatory features. Are you a beach or pool person? No matter which summer lounging scene you prefer, hopefully you're protecting your skin from the harmful effects of the sun & chlorine. We always remember to protect our skin but not always our hair, it's time to change that! Sun exposure, if balanced, is a friend of skin, and ORGANIC SUN CARE products support body and hair care. These products restablish skin hydration with their hydrating, protecting and nutririve properties, as well as revitalising dry and damaged skin. A unique line of sun products that do not grease, nor left residuals for a soft, velvety skin. They protect against UVA and UVB. 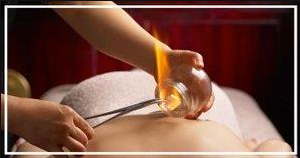 Their healing power is a special beauty treatment for body and hair care. Protects and moisturizes the hair during sun exposure, sports, bathing in the pool or spa water. It creates a protective film and gives silkiness and softness to the hair. Repair damages caused by sun exposure or from contact with oxidants such as chlorine. Gently cleanses and moisturizes the hair and body. Gives a feeling of complete well-being. Repair conditioner from damages caused by sun exposure or from contact with oxidants such as chlorine. Moisturizes the hair and restores the hydrolipidic film. Be sure to ask your stylist about these products at your next visit or come on it and ask about them! Your hair will be thanking you come fall for all the precautions you took over the summer! At Magnolia Jane we care about what is in the products that we use on our guests as well as what we work with each day in the salon. In today's world there are so many harmful chemicals put into products we use every day that cause harm and damage to our bodies and we are thankful to be a salon that works with natural, environmentally friendly ingredients. Organic Pure Care is a game changer in the world of beauty and it's been beyond an honor to be a part of their tribe. If you're using Organic Pure Care products or have experienced them in the salon, you know exactly what we're talking about. Not only do we use their shampoos, conditioners, treatments for scalp and hair and styling products. We also use their color including a line that is ammonia free, ensuring a more balanced color, respecting the scalp and the hair structure. Formulated by using high-quality pigments, ensures natural colors giving a feeling of new, healthier and regenerated hair. This color line has been developed to satisfy the needs of hairdressers and their clients. Its particular composition, rich in moisturizing, emollient and soothing ingredients, makes it a unique coloring line that combines Micro Pigments, Argan oil, Chamomile oil, Macadamia oil, Mallow oil and Silk Proteins. It gives a defined color with a natural look, a perfect coverage of grey hair, it offers a long-term results, the skin is left clean and the dye doesn’t weigh on hair and doesn’t leave any residue. The hair appears nourished and natural. A unique coloring, whose purity promotes integrity, health and beauty of hair and skin. Walking up to the counter after a hair appointment can sometimes feel intimidating with all the product options. They can start to add up or even look the same. It's important to share with your stylist when you are on a hair budget and need to get the most bang for your buck. Here are a few examples of some product pairings that are perfect for daily use and under $65! You’ve probably smelled vetiver at some point in your life and not even known it. The woody aroma, which comes from a tall, hardy grass grown from India to Haiti, is a popular ingredient in perfumery. Some fragrances heavily feature vetiver, especially colognes, and others use the ingredient as a “fixative” to help the scent last longer. Vetiver is the new star ingredient in AVEDA's limited-edition 2018 Light the Way candle. The Light the Way candle has become an Earth Month tradition, with 100% of the suggested purchase price of the candle going to Global Greengrants to fund clean water projects around the world. The Light the Way candle proceeds have also helped Haiti rebuild. Working together with Aquatic Resources Conservation Group (ARC), AVEDA is helping to construct three sustainably built homes in the community of Favette, with bathrooms, solar stoves and solar lighting. The Favette Vetiver Depot and Community Center is also being built in partnership with Heifer International and International Flavor and Fragrance, one of our top aroma distributors. The center will be earthquake, tornado and flood-resistant, and will include a water catchment system to provide water for the community, plus offices, bathrooms and more, giving the people of Favette a place to gather. In total, you’ve helped us give a grand total of $170,000 in grants for Haiti since 2010 — pretty amazing, right? Every time you light your new Earth Month candle, enjoy the vetiver aroma and think of the good work you’re helping us carry out in a very special place. For those who would love to donate but cannot make it to Art Walk we have provided a link for you above! Any amount make s a difference. Please join us this Friday, April 13, from 5-8 PM at 236-D Middle Street, New Bern NC. All our proceeds from the evening will benefit the Lower Neuse River Keeper here in eastern NC. We have provided a link about to our donation page if you unfortunately cannot make it but would still love to help! April is Earth Month and through AVEDA's Earth Month campaign salons and spas have raised over $56 million dollars to date since beginning in 1999. Thousands of AVEDA artists and guests around the world have come together pledging to protect clean water. With this precious resource at risk worldwide, we’re ready to join together to protect clean water both globally and locally. Mingle at the salon to check out artwork from our extremely talented wellness expert Cyndi Bartlett, take the pledge for clean water, learn how to keep our local waters safe, enjoy awesome product discounts, give-a-ways, wine & brews, snacks, drawings and a plant sale! 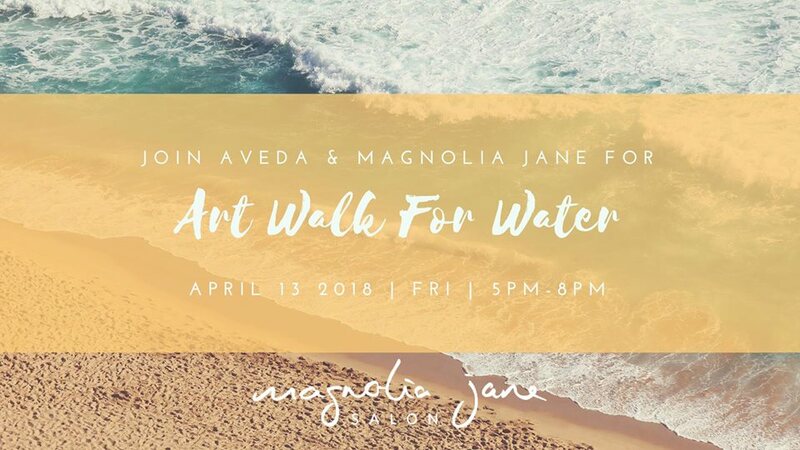 You can RSVP on our Facebook event page "AVEDA Art Walk for Water at Magnolia Jane." We can't wait to see you, and thank you for helping keep our LOCAL waters clean & safe! One of the greatest inventions of all time — as far as we’re concerned — is dry shampoo. How did we ever live without it? Being able to extend a blowout, add texture to your hair when styling, or just skip a shampoo and sleep in is THE. BEST. EVER. We released our Shampure Dry Shampoo in 2015, and it quickly became a go-to for Artists and guests for its iconic aroma and non-aerosol formula. (Plus, people had been asking us to make a dry shampoo for ages, so it was about time!) Shampure Dry Shampoo was so popular that we also launched its sibling product, Shampure Thermal Dry Conditioner. Refresh your roots with Dry Shampoo and spritz midlengths and ends with Thermal Dry Conditioner for softness and heat protection on your non-wash days. Another thing we love about Shampure Dry Shampoo? When you skip a shampoo and grab the dry stuff, you’re also saving water. It’s the perfect Earth Month product, as we devote all of April to raising awareness about clean water issues locally and around the world. When you “go dry” for clean water this month, you’re making a difference — even if it feels small. When we say “go dry,” we don’t mean never shampooing your hair and only using dry shampoo for an entire month; there are plenty of ways you can conserve water, dry shampoo or no. - Turn off the faucet while brushing your teeth and you’ll save approximately 50 gallons of water in a week. - Make sure your washing machine and dishwasher are filled to capacity before running them to cut energy and water use. You can save even more by air-drying your clothes on a clothesline. How will you make a difference for Earth Month 2018? We are so excited to incorporate Organic Pure Care line of hair care and body/wellness products to Magnolia Jane. These Italian products play nice with AVEDA as they are founded and created on similar missions: to select top, natural ingredients and promote sustainability. A range of unique body and hair beauty products, with balanced formulas based on precious plant extracts. A simple way to take care of yourself based on small everyday actions. A concept developed according to different criteria aimed at solving all sorts of specific imbalances and problems. Each preparation is formulated according to the principles of nature and contains a mixture of essential oils with beneficial properties. Pure essences to cleanse, revitalize and moisturize the skin and the hair, using only health-giving botanical products with carefully chosen properties. Organic Pure Care is the result of advanced research and innovative scientific technologies. Every single product in the range contains high synergistic concentrations of pure essential oils, extracted from plants and flowers according to ancient and traditional harvesting techniques. The precious healing properties, aromas and colors characterizing each product are preserved using only completely natural methods, without the addition of harmful chemical additives. These products are vegan approved by the VeganOK standards and Italian law forbids the testing on animals of single ingredients or whole products. They are also SLS (sodium lauryl sulfate), paraben and formaldehyde free! We love that and know that you will too! Come on by the salon to learn more. Your hands and feet do some serious work every day, so give them the love and care they deserve. Add a few drops of Cooling Oil to a foot soak and massage to relieve any tension in your soles. Before you hit the pillow, apply Foot Relief to your soles and cover them with cozy socks to really soak in the moisture, then apply Hand Relief Night Renewal Serum and Hand Relief Crème to hands to even the look of skin tone and intensely moisturize. We are so excited about the new services Cyndi brings to Magnolia Jane. Her services have become very popular in her short amount of time being a part of the team so don't wait to schedule your next wellness appointment! A wonderful 100% non-surgical alternative to Botox & fillers, facial acupuncture utilizes the techniques of traditional Chinese medicine along with modern-day science to restore balance of energy that flows throughout the entire body. Natural collagen is also increased in the skin leaving guests with a youthful glow and reduction in facial wrinkles. Those with acne, dark circles, dark spots, age spots as well as other skin conditions can also benefit from the treatment. Also very relaxing! such as bronchitis and asthma; arthritis; gastrointestinal disorders; depression; and menstrual cramp. We are thrilled to welcome Meagan to Magnolia Jane as our new esthetician! Meagan is passionate about providing a relaxing experience with amazing skincare results. A transplant from Louisiana, she is happy to now call eastern North Carolina home and be a part of the Magnolia Jane team. 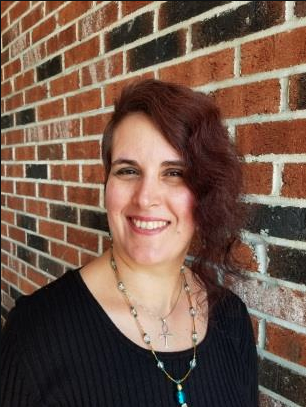 A graduate of the AVEDA (woo hoo) Institute in Hammond, Louisiana, she is passionate about the products and mission that surrounds the AVEDA culture. 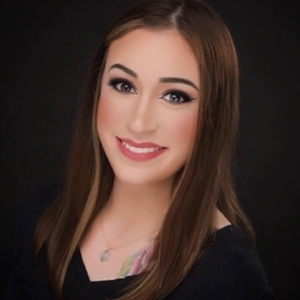 Meagan has pursued several post-graduation certifications such as microdermabrasion, makeup, chemical peels and dermaplaining as well as currently studying permanent makeup. With her calming and welcoming personality, her guests will feel comfortable and able to relax and unwind. Meagan looks forward to meeting new faces, building lasting relationships with her guests and meeting their skincare needs. To book any of her facial or waxing services you can book through our website here in the tabs above "book online!" or by calling us at 252-514-4867. Please feel free to ask us anything on your mind concerning your appointment and we will answer it as best as we can! They both increase moisture instantly and help your skin retain it for 24 hours, with vital plant energy that stimulates hydration, helping recharge your skin cells—to power skin's natural moisture system. Dermatologist-tested. Non-acnegenic. To use you smooth onto face, neck and décolleté a.m. and p.m. The main difference between the two products is the Rich is for those with dry to very dry skin and the Soft is for those with normal to all skin types. Maybe you have very dry patches on your skin but you feel that the rich creme on your T-zone could be too heavy; you can use it as a spot moisturizer. I tend to use more moisturizer on the outside of my mouth and cheeks as those are usually my dryer areas and just use a little on my forehead and nose where I am more oily. The best part is you can tailor all these products to how they work best for you! This week's installment of battling the enemy that is dry skin caused inevitably by the crisp weather is about moisturizing! AVEDA has three great knockout products I use every day that have made a huge difference in the softness and just overall look of my skin this winter. This nighttime duo is not messing around when it comes to getting the job done! tulasāra™ wedding masque overnight: Wake up with luminous, wedding-day skin—every day. Ultra-rich creme masque brightens skin overnight, and contains a potent turmeric extract to help even the look of skin tone over time, leaving skin luminous and radiant. A powerful blend of plant stem cells and organic apricot seed oil work together to help support skin’s natural repair processes that happen at night. Get firmer, more lifted looking skin over time. To use you smooth onto face, neck and décolleté nightly. tulasāra™ wedding masque eye overnight. Ultra-rich creme masque brightens skin around the eye area overnight, and contains a potent turmeric extract to help visibly even skin tone by diminishing the look of dark circles over time. Algae extracts also help diminish the appearance of eye area puffiness. A powerful blend of plant stem cells and organic apricot seed oil work together to help support skin’s natural repair process that happen at night. Get firmer more lifted-looking skin over time. To use you apply gently around the eye area with ring finger nightly. They call it "yoga in a jar" for a reason! tulasāra™ renew morning creme: Tulasāra™ renew morning creme: Instantly renew the look of your skin to face the day—every day. Inspired by morning renewal in Ayurveda. 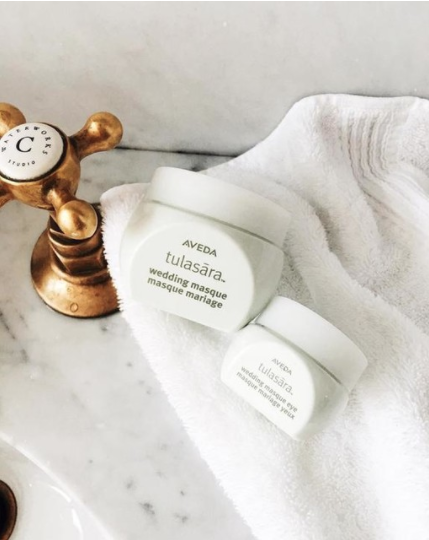 Tulasāra™ renew morning creme is a powerful 97% naturally derived soft creme that instantly brightens, smooths fine, dry lines and helps strengthen skin’s defenses against environmental aggressors before starting the day.To use: layer over your tulasāra™ concentrate in the a.m. Smooth onto face, neck, and décolleté. please enjoy these simple facial yoga exercises that can help increase microcirculation, relax muscle tension and fire up your glow! This creme based exfoliant is recommended for repairing dry skin. This daily cleanser with jojoba exfoliating beads helps increase cell turnover and remove skin dulling surface cells and impurities. The creamy formula with mango butter leaves skin conditioned and soft. To use you simply massage onto wet skin, work into lather and rinse. AVEDA's plant based products are extremely gentle on the skin while shockingly effective. This non-abrasive liquid wipes away spent surface cells, revealing a smoother, clearer, more refined complexion beneath—and pores that are primed for maximum treatment and moisture benefits. For all skin types. To use dedicate time in the p.m.—after cleansing, and instead of toning, apply a small amount on a cotton ball and gently wipe across the throat and upward, with outward motions. Do not rinse. This exfoliant is gentle enough to be left on and effective enough to reveal glowing clarity! When exfoliating it is most important to remember to moisturize after! 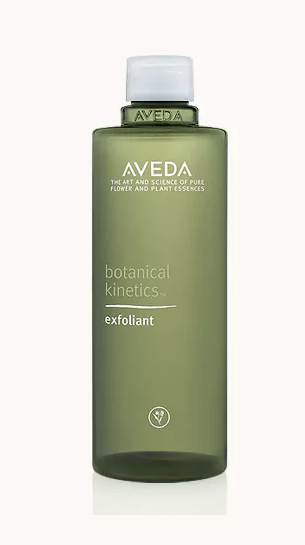 Even as gentle as AVEDA's exfoliants are, it always is best to go the extra mile and add that moisture back into your skin. Nurturing your skin comes naturally with this quick-absorbing lotion—containing emollients derived from coconut, jojoba and other naturally derived ingredients—that replenishes moisture with a gentle touch and lightweight feel for all skin types. You shouldn the a.m. and p.m.—using finger, apply a pearl-size drop to freshly cleansed skin, starting at your throat and working your way up to your face. All of these products can be purchased in the salon and we would love to help you get set up with a routine! If you have any questions please call us at 252-514-4867 and we would love to assist you! We can't wait to see everyone's glowing faces this spring! Not only are these fan favorites but they are also Magnolia Jane's favorites. These products are commonly used in our daily styling! The Shampure Composition Oil is used daily in our moment of wellness we offer before our appointments. A quick couple minutes of relaxation and unwinding for your scalp and shoulders! It is a top priority of ours to make sure our salon is a place of peace. 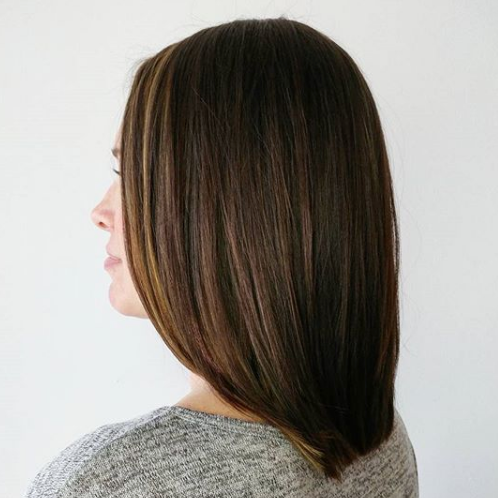 Smooth Infusion Style-Prep Smoother is a must have for eastern North Carolinians as it helps smooth hair and defend against humidity for up to 12 hours! It also helps protect your hair from heat damage from surface styling tools. Another way to combat your frizz but for naturally curly hair is by applying the Be Curly Curl Enhancer. It also intensifies curls and boosts shine! The Phomollient Styling Foam creates weightless body, volume and shine and makes the most of what you have without weighing you down on fine to medium hair. This air-infused technology transforms liquid to foam without hydrocarbon propellants. Another member of the volume family is the Thickening Tonic. Instantly thicken your texture by expanding your strands from roots to end. Imagine a fuller style! Damage Remedy Daily Hair Repair is in fact used daily in the salon. This is a leave-in treatment that instantly protects and repairs from heat styling. It detangles and helps prevent future breakage. The finishing touch on all this styling has to be Air Control! It is a light but long-lasting hold hairspray with a flexible touch. Everything you need! This also has a zero-net impact on the earth's climate which is a mega plus! Lastly, AVEDA's Hand Relief Moisturizing Creme speaks for itself. It is an ultra-rich moisturizing creme leaving hands visibly silky smooth! Can't live without this. Keep the hair you have longer with Invati Advanced, 53% hair loss reduction! 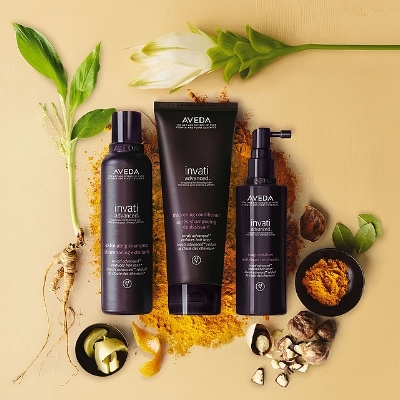 AVEDA's popular Invati system just got better. Introducing Invati Advanced. What's in this amazing product that protects against hair loss caused by aging, postpartum hair loss and even environmental stress? Invati Advanced is 98% derived with Ayurvedic turmeric, ginseng and AVEDA's patented yeast energy ferment that energize the scalp around follicles when massaged in. Licorice & vitamin C accelerate micro-circulation with massage and Japanese knotweed & tangerine peel are used to support cellular growth ability that makes hair's natural keratin. 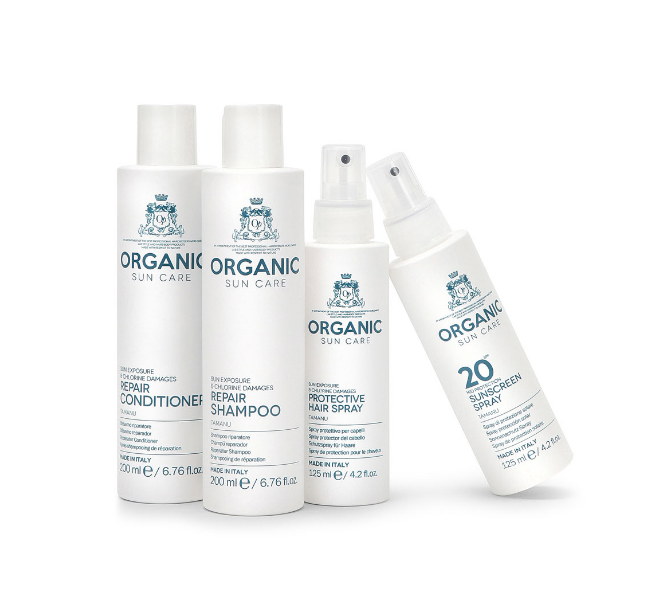 This sustainable, ethically sourced system includes shampoo, conditioner and scalp revitalizer that has been reformulated with higher concentration to be used only once a day. Keep the hair you have longer while enjoying the amazing aromas of organic lavender, rosemary, geranium and other pure flower & plant essence. The new year is always thought of as a clean slate. We use the mistakes we made in the last year and turn them into healthy changes in our lives. It's also very important to look back at all the important and happy memories that brought you to this moment! 2017 was a fantastic year for Magnolia Jane and I would love to share with you a few of them that stood out to us! One of the biggest changes to the salon was the addition of some new stylists. Without them we couldn't operate! Brooke, Holly, Alyssa, Linda and Liana. We are so thankful for all their hard work they apply every single day and for their desire to continue their education in this industry and through AVEDA. We can't wait to watch them grow and showcase their special talents at Magnolia Jane. Another great addition to the salon was the introduction of AVEDA's skincare products; Botanical Kinetics, Tulasara and Outer Peace! we gave our spa services a 360 and integrated AVEDA's treatments and facials into our services. Our estheticians studied and took AVEDA training classes on properly performing these facials so we can give our guests the best possible experience. Our most popular AVEDA spa service we added was the Duel Exfoliation Treatment. It is a thorough but gentle deep cleansing experience that leaves you fully relaxed with little to no redness or irritation as our products are calming and plant based. This treatment is an instant time machine in under 2 hours leaving you with noticeable results in skin's overall brightness and reduction in fine lines. Our best selling items from their skincare line include the Tulasara Wedding Masque and the Wedding Masque Eye. These products are amazing and work even better together. Wake up to luminous, wedding day skin every day! It works at night, which is a key time for skin's natural repair, to repair fine lines and give you a firmer, lifted look. It does so many things that it takes too long to list, but we promise you need this in your life! 2017 was another great year for weddings and 2018 is already looking like it will be just as wonderful! We could go on and on but it's more fun if we show you! Just as we love doing weddings, we also love our regular clients we see and the fun things we get to do for them. Here are a few of our favorites from 2017! Thank you to our amazing clients in 2017. You guys are the reason we do what we do. We cannot wait to see how we grow in 2018! We hope you will experience it with us again! Happy New Year!